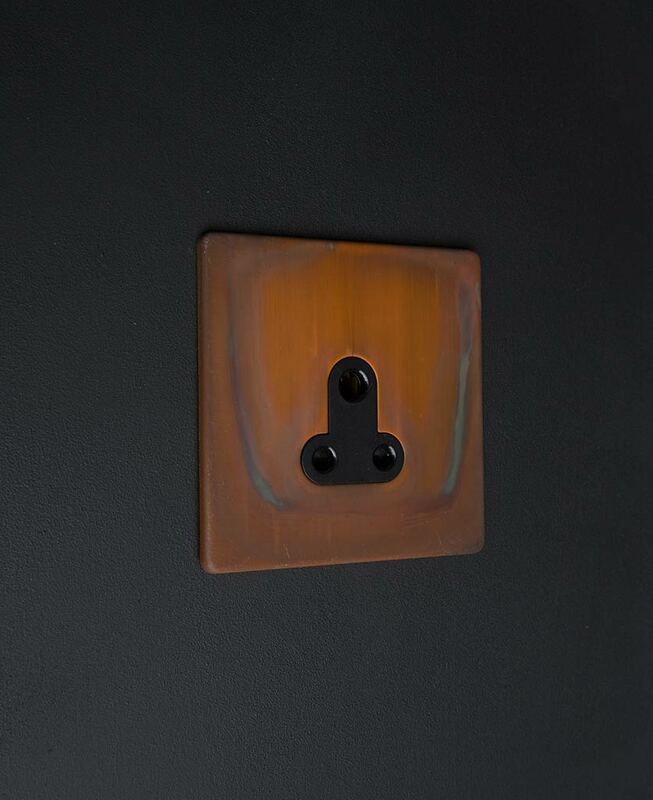 Our tarnished copper round 3 pin socket is the epitome of industrial design. Featuring a gorgeously distressed steel plate and a contrasting black or white insert, this dramatic switch makes controlling multiple lamps in larger spaces simple…and looks good too. What more could you want in a socket? Our tarnished copper round 3 pin socket is just beautiful. With an authentically distressed steel plate and choice of black or white insert, it’s the perfect finishing touch for an industrially styled interior. We love the finish of this 5 amp socket. Each one has stunning swirls of navy and grey swirling across the matt copper plate, creating an almost sunset-like vibe. Tarnished copper looks amazing in a range of interior styles, for a New York loft vibe, place upon crisp white walls. Or if you’re looking to make more of a statement place upon rich navy or moody grey walls to accentuate the tones in the plate and create a fabulously decadent and dramatic finish. This 5 amp switch has been designed for use in larger rooms, bars, restaurants and hotels. Basically anywhere that you want to control multiple lamps from one switch. 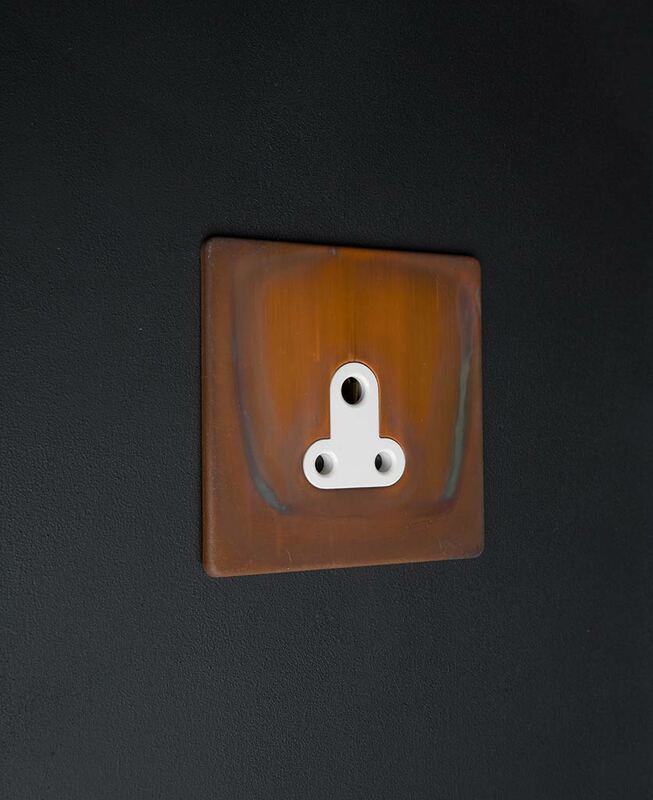 Our tarnished copper switches and sockets range have been created in-house here at Dowsing and Reynolds. It’s an exclusive collection that you won’t find anywhere else. These lovely switches are each finished by hand and as such will all have completely unique finishes, adding to their charm and designer style.